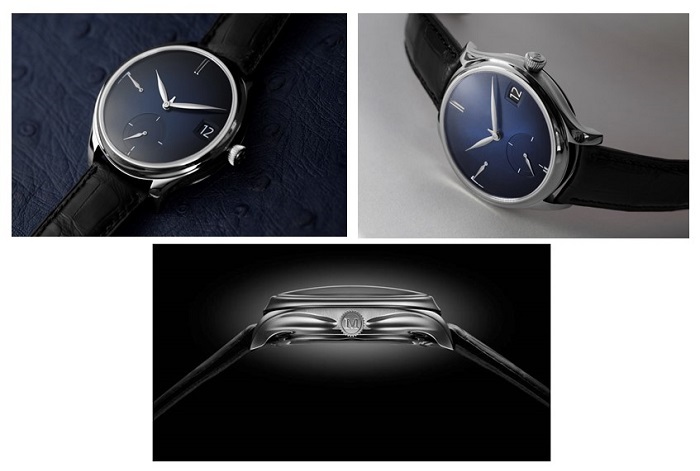 media.h-moser.com :: SIMPLE, EFFECTIVE, UNDERSTATED, AUTHENTIC: THE ENDEAVOUR PERPETUAL CALENDAR PURITY FROM H. MOSER &amp; CIE. SIMPLE, EFFECTIVE, UNDERSTATED, AUTHENTIC: THE ENDEAVOUR PERPETUAL CALENDAR PURITY FROM H. MOSER & CIE. Complexity made simple: this is the philosophy of the H. Moser & Cie. Endeavour Perpetual Calendar – undoubtedly the purest, most ingenious and most practical perpetual calendar available. The Endeavour Perpetual Calendar Purity sees the Schaffhausen-based Manufacture pursue its carefully thought-out approach which foregoes branding, focusing on the refined understatement of this model. Available in a limited edition of 50 pieces, with a new 42 millimetre case enhanced by a dynamic, sculpted design, the Endeavour Perpetual Calendar Purity is the ultimate expression of minimalism and purity, with no logo on the dial and the simplicity of double indices. This watch radiates a timeless beauty, proving that true luxury needs no unnecessary adornment. An iconic piece, the Endeavour Perpetual Calendar from H. Moser & Cie. is renowned for its complex movement, but also for its absolute simplicity. Without multiple sub-dials or an illegible date disc: the indices show not only the hours, but also the months, using a small central hand. A very large date window at 3 o’clock with a new date design and a power reserve indicator at 9 o'clock complete the piece, making it the most legible and easy-to-set watch available, as it can be adjusted forwards or backwards at any time of day. The HMC 800 calibre is housed in a new Endeavour case, whose lines have been adapted to increase the diameter beyond the 40.8 mm model. Measuring 42 mm, this case has a more dynamic look while still resting elegantly on the wrist thanks to its curved case-back. The Endeavour Perpetual Calendar Purity pushes H. Moser’s minimalist philosophy even further: the dial has indices only at 12 and 6 o'clock and there is no visible logo or brand name. With its magnificent and mysterious midnight-blue fumé dial, this model remains immediately recognisable, proving that true luxury is unmistakable, even without ostentatious branding. Finally, as with all new models produced from January 1st, 2017, this watch will not feature the Swiss Made label on the dial as the Schaffhausen-based Manufacture, whose creations are over 95% Swiss, does not consider the label sufficiently rigorous. Reference 1800-0200, Endeavour Perpetual Calendar Purity, white gold model, midnight-blue fumé dial, black alligator leather strap with red leather lining, limited edition of 50 pieces.